Millions of newlyweds will opt to change their names after getting married this year. Typically the first thing that comes to mind is Social Security Card name change. Where do I go? Does my Social Security Number change? How do I get my new social security card? What form(s) do I file? These are a few of the questions the customer support team hears at MissNowMrs every day. So, we’ve got the inside scoop on exactly what you need to know about Social Security name change. Tip 1: Your Social Security Card does not automatically change. There are many individuals who believe when their marriage certificate is filed with the County Clerk. This is not the case. Name change after marriage is a personal decision, so none of the necessary legal name change form are automatically filed after your marriage. Tip 2: Decide on your married name before filing with Social Security. Once you file legal name change forms, you do not have the opportunity to change them without a legal name change order from the court system or a divorce decree (yikes.) So, be sure you know what name change option best suits you and your life style. If you’re unsure what options are available in your state, or are totally undecided, play the Married Name Game to find your ultimate married name change option. Tip 3: File the SS-5 form first. Many states, banks, and service providers require newlyweds to file for their name change with a certified marriage certificate AND an updated Social Security Card in their new married name. The Social Security Administration takes approximately 2 weeks to issue new Social Security Cards. The card will arrive in the mail and will show your new name. Your Social Security Number will not change… so no need to memorize a new one and update it everywhere! Tip 4: It’s free! 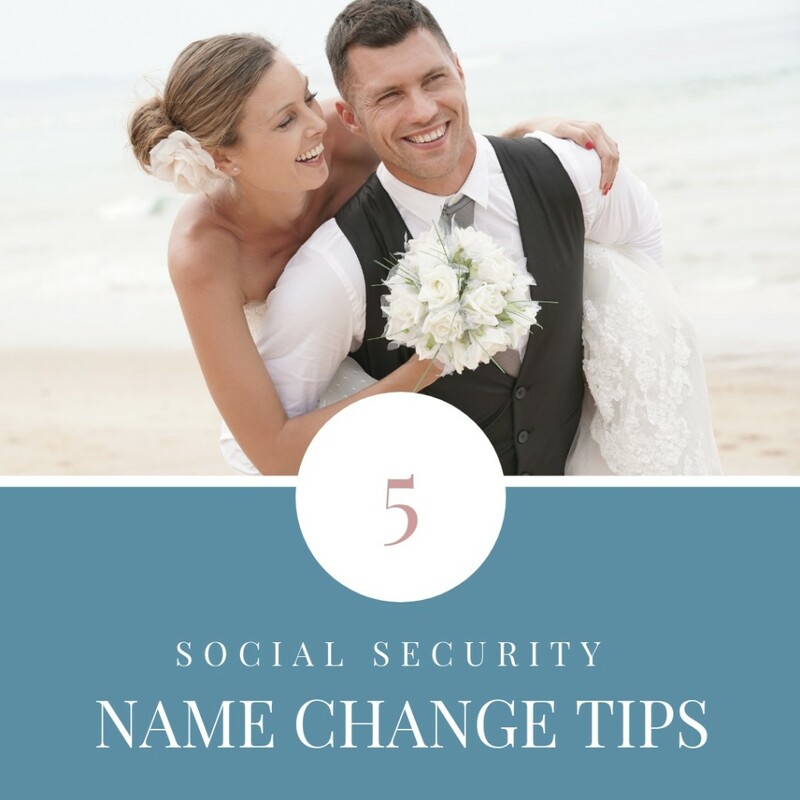 There is no fee associated with Social Security name change. You simply complete the SS-5 form and file in-person or by mail with your certified marriage certificate and photo ID (such as your driver’s license or U.S. Passport.) Your certificate and ID will be mailed back to you with your new Social Security card in your new married name! Tip 5: Save time and hassle with a name-change service. MissNowMrs is an online name change service designed to streamline the 13 hour name change process into 30 minutes online or 3 minutes via the name change app. If you want to change your name but don’t want to deal with the headache and paperwork, this is definitely the way to go from Miss to Mrs. in minutes!